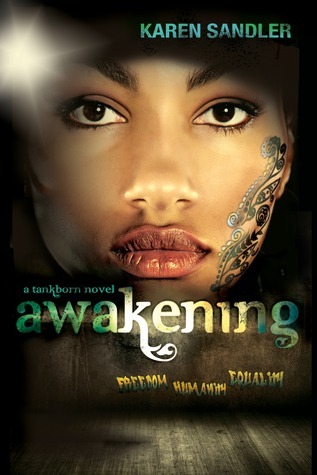 The second book, Awakening, in the Tankborn series is out this month and is an interesting follow up to Tankborn. Not wanting to spoil the first book, if you haven't read it yet, I'll try to write about it cryptically enough to not give away too much. What I really liked about Awakening is that, like the first installment, it features strong female characters who are proactive and are dealing with issues of religion, race, and politics. 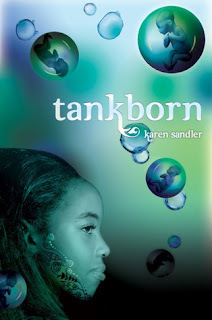 Food warehouses are being blown up and Kayla notices the scrawled letters, FHE, freedom, humanity, equality. Could there be two movements working to change this stratified culture made of trueborns of high and low status and tankborns, a slave class? This story moves at a more measured pace than the first one and would best be read following Tankborn. I'm looking forward to seeing what happens next.